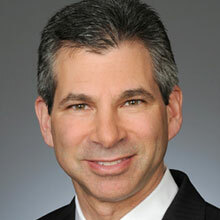 Ed Glassman is EVP of Account Management, North American Markets for Mastercard. In this role, he is responsible for leading a team that manages more than 50 U.S.-based customers with a diverse set of strategies and business models. Previously, Mr. Glassman was group executive of Global Commercial Products. He led the global development and commercialization of innovative commercial products and solutions that serve small business, mid- and large market organizations and public sector institutions. Previously, he served as chief information officer for the GTS businesses at RBS and ABN AMRO. At ABN AMRO, he led the global product organization in its stellar growth, helping the company to become one of the pre-eminent GTS banks in the world. Prior to ABN AMRO, Mr. Glassman led the Commercial Cards platform at Citibank, later heading Global Product Development for GTS — including the development and deployment of CitiDirect across the world. This market-leading commercial e-banking solution delivered both traditional and new GTS products and services to customers in every geography.